Tooth decay is a progressive condition. Decay is irreversible, and if it is left untreated it can get worse very quickly. It is extremely important to detect and treat tooth decay early to prevent cavities or gum disease. 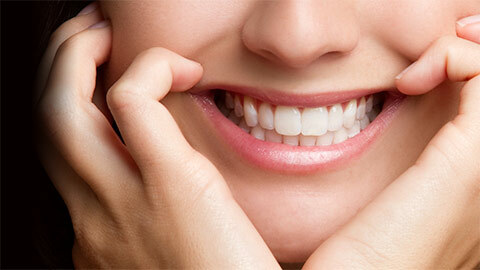 The good news is that if decay is detected and treated early enough, it can be treated with a dental restoration. Dr. Sudomir and his team recommend individual treatment based on how much the tooth decay has progressed. If we detect decay on your teeth we will discuss your options for restoration, including how much each restoration will cost and how long it will last. When decay has penetrated the enamel of your tooth a cavity will form. The most common treatment for a cavity is a filling. To place a filling we remove the decayed portion of your tooth and then fill the space with a filling made of metal alloy, composite or porcelain. We may recommend restoring a tooth with a crown if the tooth already contains more than one filling or if it is badly decayed. A crown “caps” your tooth, protecting it and keeping it strong. Crowns can be made of gold, porcelain fused to metal, or pure white porcelain (to resemble a natural tooth). An inlay can be used to repair damage to a molar. Formed from porcelain in a dental laboratory, an inlay is designed to fit seamlessly into your tooth and is made to match the color of your tooth and surrounding teeth. You can think of an inlay as an extremely strong filling that is placed inside a cavity and cemented in place. An onlay is a restoration similar to an inlay or a crown. An onlay is different from an inlay because it extends over one or more of the cusps of your teeth and provides biting strength. It is different from a crown because an onlay usually only covers part of an individual tooth. Onlays are used when only a part of a tooth needs to be restored. If a tooth is so badly decayed it must be removed, we may recommend replacing the missing tooth with a dental bridge. A dental bridge is an artificial tooth that is mounted on a support structure that connects the two teeth adjacent to the gap left by the missing tooth. (This is why we call it a “bridge.”) The artificial tooth in a bridge is shaped and shaded to match your existing teeth. If you have suffered a cavity or other decay and need restoration services, contact us today to book an appointment.